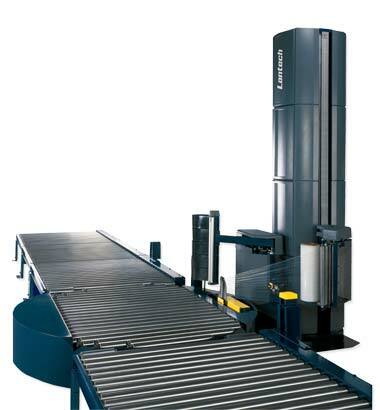 The QL Automatic is a high performance rotation platform automatic machine that included industry leading features that you would expect from a Lantech machines of this standard. Metered film delivery ® is a revolutionary wrapping system that minimises film breaks with twice as much wrap force without crushing or twisting the load. With more force you can reduce the film costs and despatch more secure loads. Guardian System ® is a built in process control that provides performance monitoring to ensure you do not ship unasafe loads. It also provides real time data of machine maintenance to limit the chances of an unexpected breakdown. Pallet Grip ® reduces the risk of in-transit damage by locking the load to the pallet. Pallet Grip rolls the film into a tight cable and drives it down onto the pallet.